Swallow Boats are very pleased to announce the opening of a South Coast Sales office, based on Hayling Island and skippered by experienced local Nick Peters. 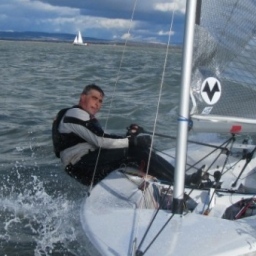 Nick is better known for co-founding RS Sailing, the hugely successful performance dinghy brand and as such brings a huge wealth of experience and advice to Swallow Boats. He has literally been there and done it and we look forward to a long and beneficial relationship. Later this Spring he will have a BayRaider Expedition available for demonstration from Northney Marina, Hayling Island.